Work: Our very own Bicycle Doctor Kevin visited my workplace for a day offering on-site bike maintenance. He worked on 7 bikes. 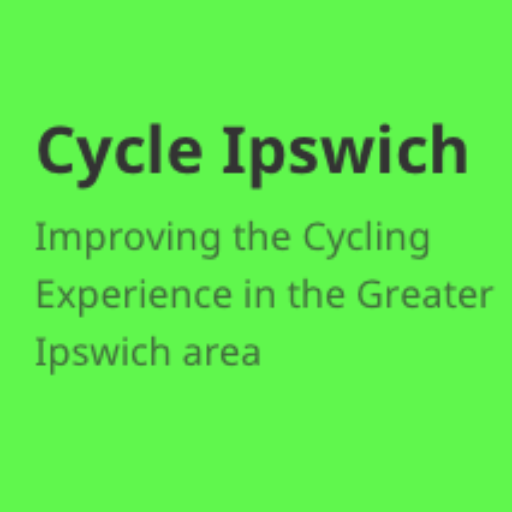 Cycle Ipswich: I arranged a public “pootle” from Corn Hill to The Douglas Bader public house at Martlesham, using a route suggested by Ray (I think). A few work colleagues joined us for the event. Community: I publicised through a school news letter that a “bike train” would run from Ravenswood to Nacton. The aim was to get more kids and parents on bikes. If I am honest, I hadn’t expected many people to participate. The Bike Train turned out to be the runaway success. After the first trip, the mums asked me if we would do it again, and basically since June 2009, every Wednesday and Thursday morning the bike train has run, following Sustrans NCN Route 51 to Nacton Village. Except for during the worst snow and ice that is! The head-mistress of Nacton School, Mrs Ditton also backed our efforts up, by contacting SCC Road Safety Team and organising playground training for the kids and adults. 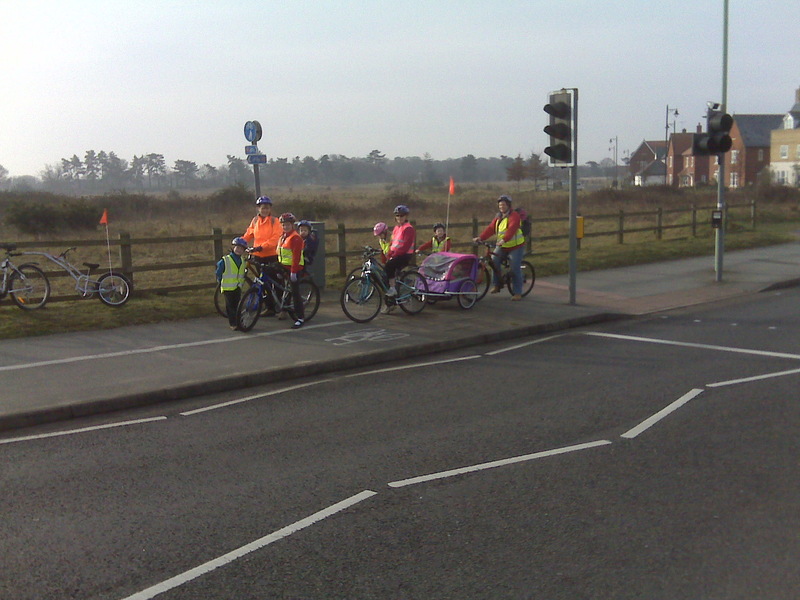 This was a first for the County because Bikeability is typically aimed at older kids. There simply wasn’t a training programme for kids like ours, who are in Reception, Year 1 and Year 2 (aged ages 4-6 in old money). SCC presented us with high-viz vests as well as providing the adults with some important training on cycling as a group. SCC road safety officer Jennie Butcher also accompanied us on the ride, offering her advise when we arrived. I found the whole experience not only very positive, but also very informative. I am sure that we are much safer on the roads and we feel very supported by the school. The school also revised its School Transport Plan in late 2009 to make better provision for cycling, and SCC have run further playground workshops in early 2010. Trying to measure the success is hard. It’s a small school and at our most we have had 16 participants, with a hard-core group of six or eight adults and kids, but that is nearly 10% of the school! The kids are getting out, into their communities in ways that they don’t in cars. They are getting active, and building a strong sense of community and independence. I understand that the school has also been contacted by Cycling England and local authorities for information on how to form their own bike train. We were even featured in a local newspaper! My aim for 2011 is to iniate a second bike train. It doesn’ t have to be at Nacton School, it can be anywhere, but I would love to start spreading the news!